The COE Regional User Group Community was formed to provide national representation to local and regional group support. 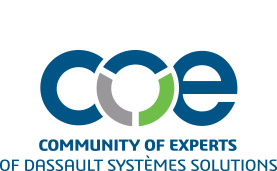 The purpose of the COE RUG Community is to assist in the development, support and continuation of local Dassault Systemes user groups for the purpose of promoting the free exchange of information related to the use of Dassault Systemes solutions. CRC provides a forum where local RUGs can go to gain or share information through a website or direct contact with the leaders as it relates to Dassault Systemes or their RUG. For more information or further questions on COE support of user group meetings, please contact coeRUGs@coe.org.